See this post by John Cochrane. ...when the authorities have chosen policies supportive of continued inflationary growth of MV, they have not done so from ignorance of arithmetic, indifference to inflation, or, in my opinion, political pressure. They have done so, rightly or wrongly, mainly because of the perceived consequences of nonaccommodation on the real performance of the economy. 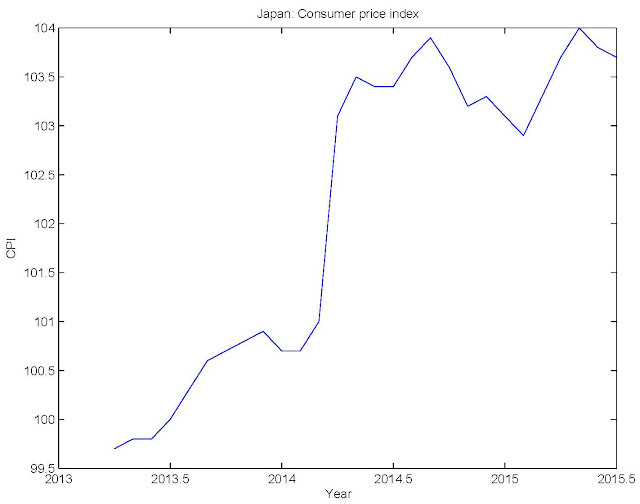 The inertia of inflation in the face of nonaccommodative policies is the big issue. Tobin's view was that there was substantial inertia in inflation, and that it was very costly to bring it down - a widely-held view at the time. But there were other ideas at the time as I discussed here. 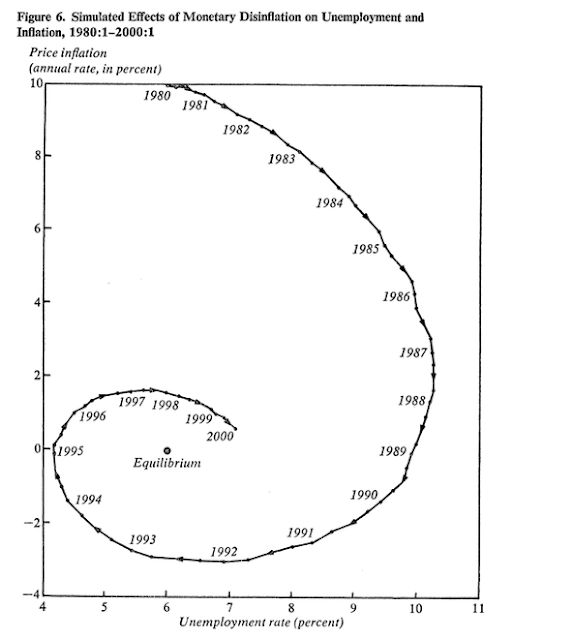 Tom Sargent, in particular, was emphasizing the policy relevance of modern macroeconomics for disinflation. According to Sargent, central bank commitment was important, and we could reduce the inertia in inflation if we had a credible commitment from the central bank to reduce it. Krugman says that kinda sorta looks like what actually happened. I suppose a cat looks like a horse, because it has four legs. If you read Tobin's paper, he's using that figure to illustrate how bad he thinks disinflation through monetary measures could be. Look at it! After 7 years of monetary disinflation, the unemployment rate peaks at more than 10%, and it takes more than 12 years to get back to what Tobin thinks is the natural rate of unemployment, 6%. Tobin is using what he thinks is a conventional macroeconometric model. 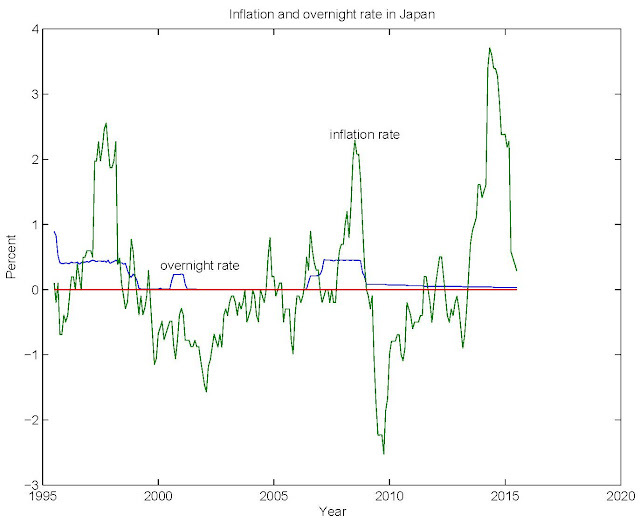 It's got adaptive expectations and a Phillips curve with what people then would have called a "high sacrifice ratio." 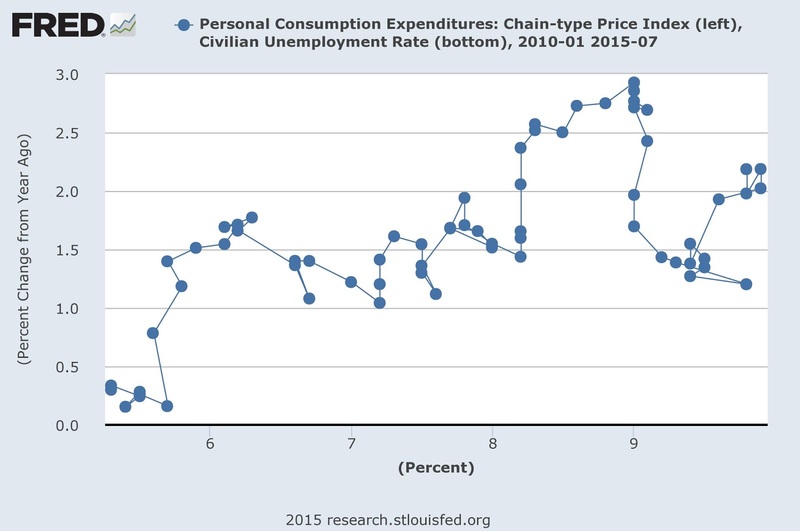 You have to suffer a lot of unemployment to get a small reduction in inflation. Of course, Tobin's simulation looks nothing like what happened. For these reasons,I think it would be recklessly imprudent to lock the economy into a monetary disinflation without auxiliary incomes policies. The purpose of these policies would be to engineer directly a deceleration of wages and prices consistent with the gradual slowdown of dollar spending. Macroeconomic policy and wage-price guideposts or controls would be concerted. Instead of issuing a monetary threat to everyone in general and to no one in particular, the government would seek the consent and cooperation of organized labor and business in a five-to-ten-year program to eliminate inflation at minimal cost in employment, production, and investment. The most promising incomes policy is to use tax-based incentives for complying with a sequence of gradually declining guideposts. 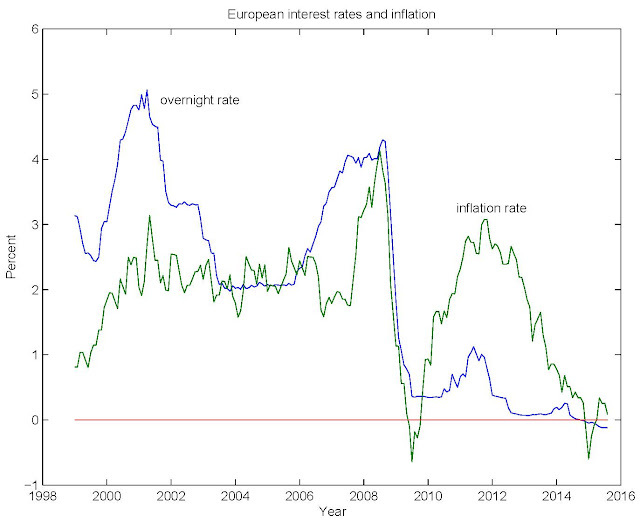 Tobin's telling us that it would be silly to disinflate through monetary policy alone. We need wage and price controls! So, how the 1980s was a victory for "Tobinesque economics," I have no idea. The Fed did what Tobin said they should not do, inflation did not have the inertia Tobin said it would have, and wage and price controls were thrown out with the policy trash. Further, the language of modern central banking is all about inflation targeting, commitment, and looking into the future. Tobinesque economics can only look good if you're not looking. 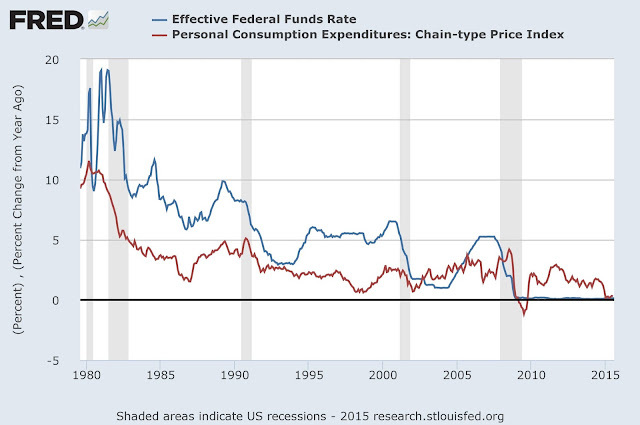 John Cochrane's blog post, Whither Inflation, is excellent reading. 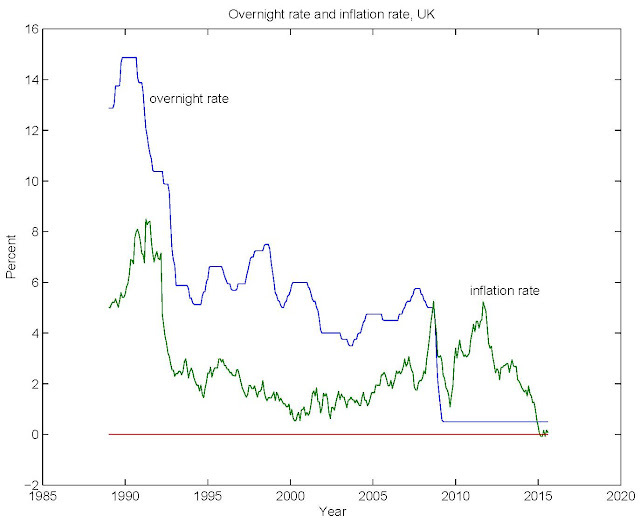 Basically, John takes a mainstream New Keynesian model and shows how it has Neo-Fisherian characteristics - if the central bank raises the nominal interest rate, inflation increases. Noah Smith seems to find this interesting, but he's got some problems with it. I'm going to attempt to answer his questions. 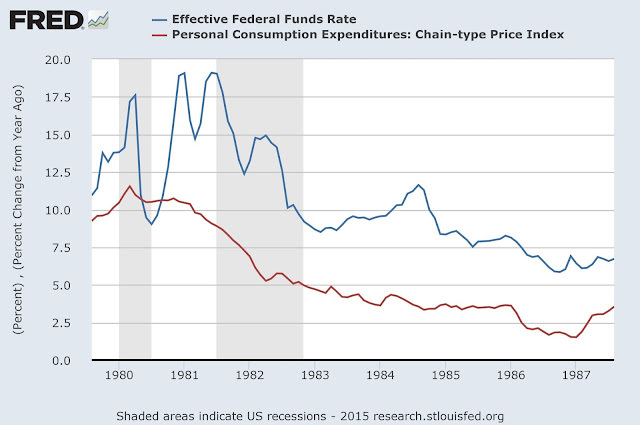 What about the Volcker disinflation, when Fed interest rate hikes were followed by disinflation? 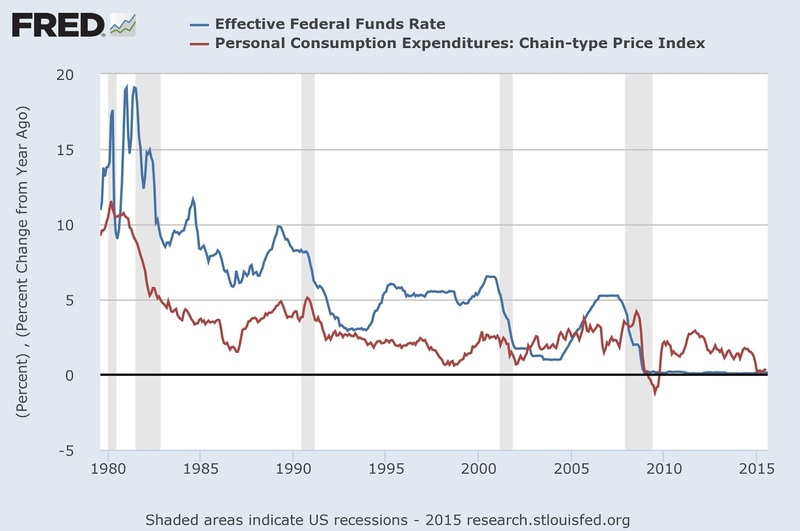 In that chart, inflation and the fed funds rate more often than not are moving in the same direction. Volcker didn't do Cochrane's experiment in reverse - the fed funds rate comes down gradually during the disinflationary period - but I don't see an inconsistency between what we see in the above 2 charts and what is coming out of Cochrane's experiments with the NK model. ...are we sure we want to think about interest rate policy as a series of interest rate pegs, each of which people believe will last forever? 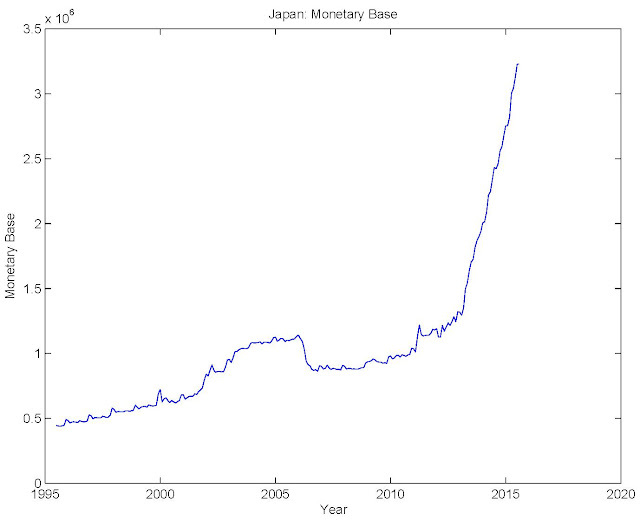 Typically, in analyzing monetary policy, we want to study the operating characteristics of particular policy rules. That is, we specify the feasible set of actions a central bank can take under particular contingencies, specify a policy rule as a mapping from states of the world to actions by the central bank, and then ask how the economy functions under that rule. 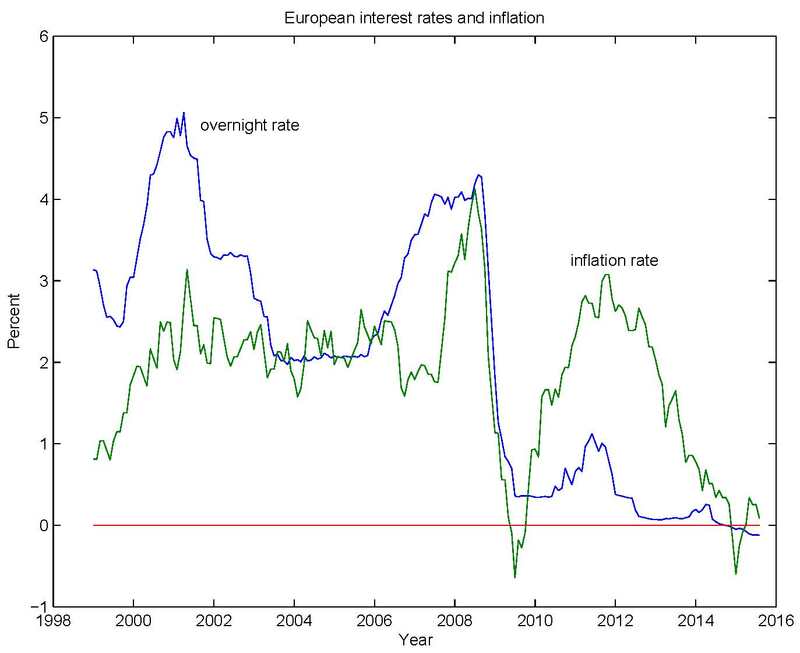 Cochrane's clearly interested in that, but he wants to show you a simple policy experiment so you can understand what's going on: Suppose the central bank increases the policy rate at a given point in time, permanently. What happens? This can help build your intuition so that you can handle the more difficult exercise of working out the optimal policy rule. But the last reason we should be a little wary of the Neo-Fisherian idea is that it goes against our basic partial-equilibrium Marshallian idea of supply and demand. That fits closely with how an economist thinks about intuition. Over time, we accumulate knowledge of economic theory - models, basically - by working with them. For a lay person, partial equilibrium Marshallian supply and demand is not intuition. He or she has no clue about supply and demand. Sometimes Marshallian intuition works - for economists. I see a piece of economics that is unfamiliar, but I can recognize elements of supply and demand in it, and then I get the idea. But Cochrane is dealing with an issue that is dynamic, it's general equilibrium, it involves how the economic agents in the model think about the future. Why would I expect that static Marshallian intution would work? And if it doesn't seem to work, why should that make me "wary" of the idea? Looks like I have the wrong intuition, and I have some learning to do. 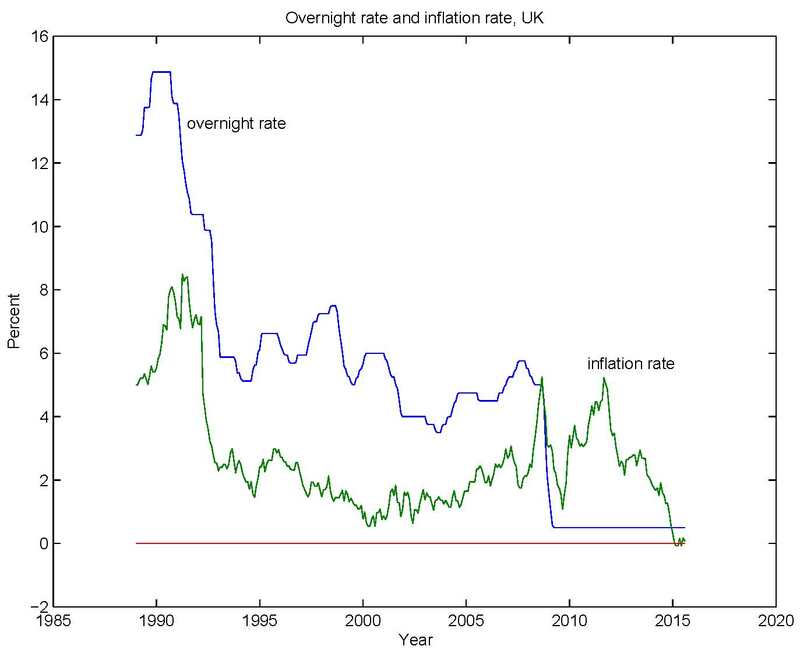 where R is the observed nominal interest rate, F is the Fisher effect (or inflation premium), L is the liquidity effect - the effect of monetary policy on the real interest rate - and r is the long-run real interest rate, which is determined by non-monetary factors (we'll neglect Tobin effects and such). Next, consider Cochrane's experiment. 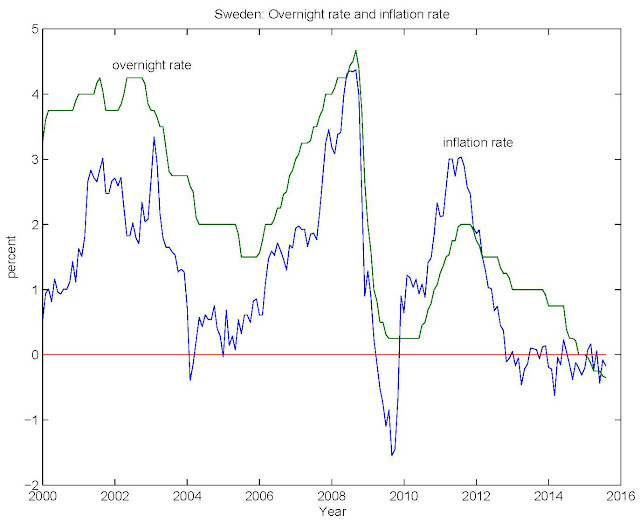 There is a one-time, permanent increase in the nominal interest rate. 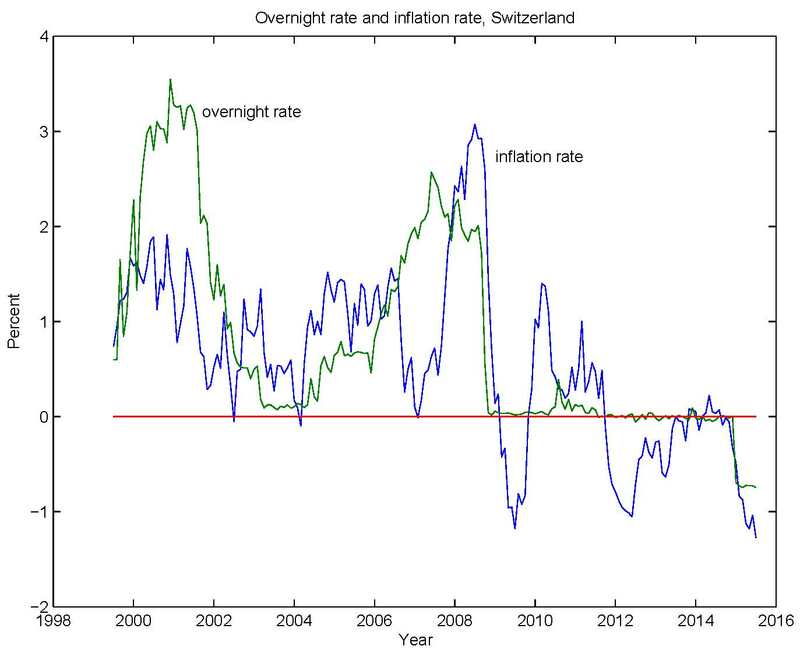 In some models we would have to worry about what actual monetary policy actions (asset swaps or settings for administered interest rates) would be required to support this market interest rate, but in the NK model Cochrane works with, that's not an issue. 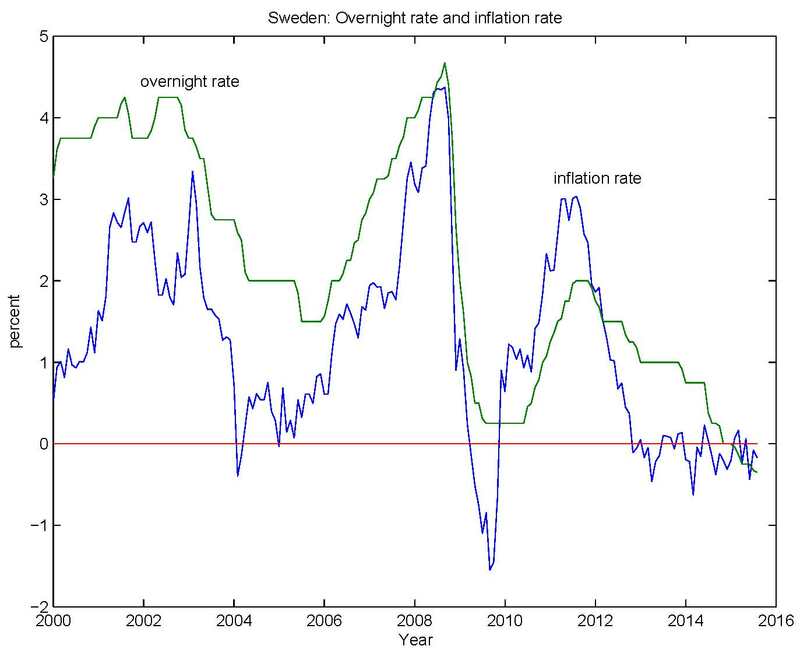 The central bank can set the nominal interest rate, and that will induce a dynamic path for F and L. I think most economists would have intuition for the long-run effect. 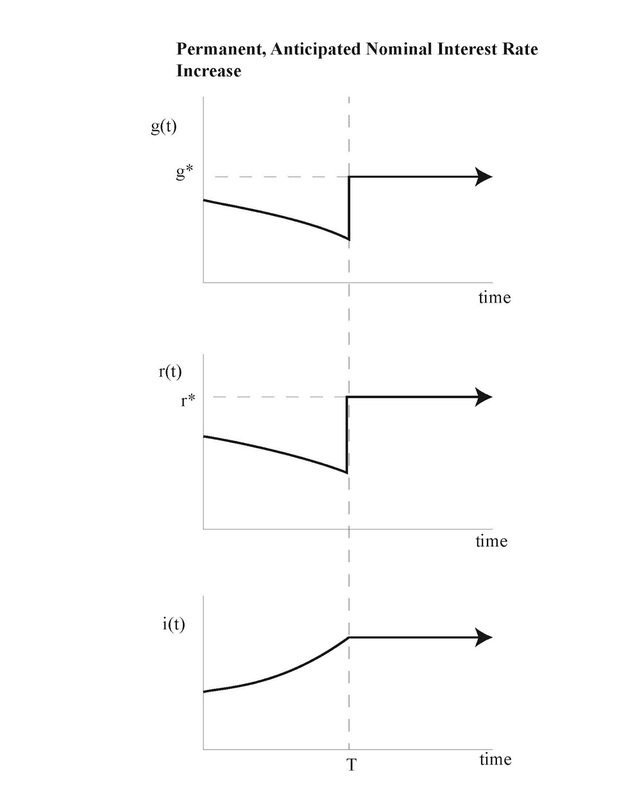 In the long run, the increase in L induced by the increase in R is zero, and F increases one-for-one with R. In the long run, the Fisher effect dominates. In the short run, L moves in the same direction as R. That's the non-neutrality of money in the sticky price NK model. 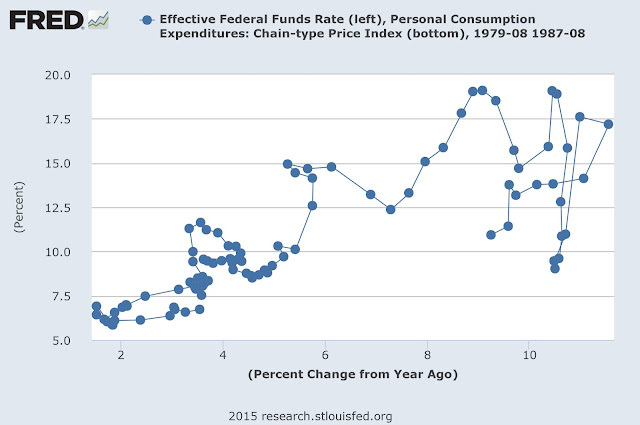 Consumption declines on impact, and then grows over time, at a declining rate. If you have taken a PhD macro course (or even some undergrad macro courses ) you should have some modern macro intuition. That intuition tells you how consumption smoothing relates to asset pricing. 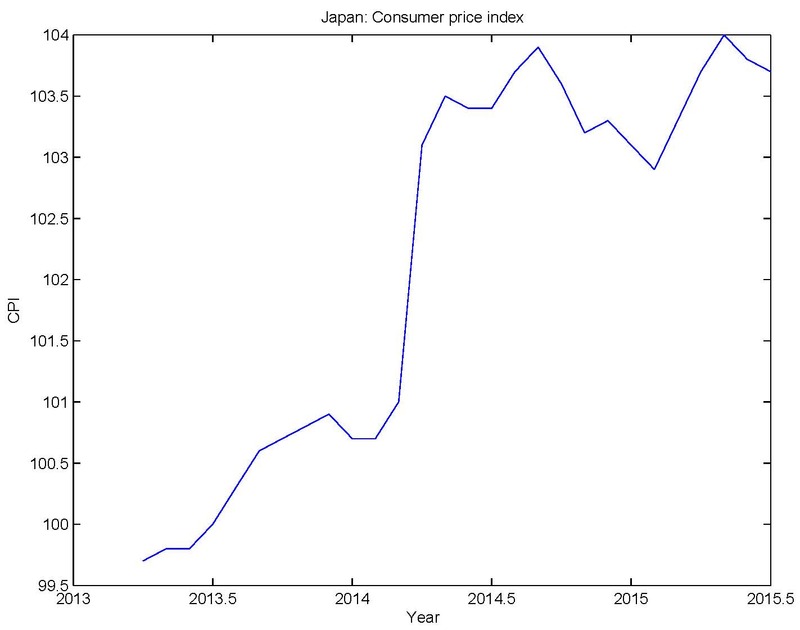 In this instance, with the representative consumer facing growing consumption, the real interest rate will be higher than it would otherwise be (the liquidity effect) because the representative consumer would like to smooth consumption over time (by borrowing against the future), but cannot. But consumption growth is falling over time, so the liquidity effect (the increase in L) declines over time. This implies that, with R constant, the Fisher effect (the increase in F) must rise over time. 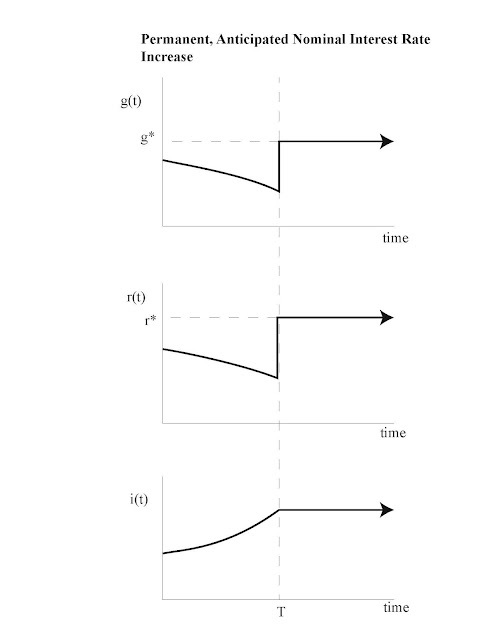 So, we have the liquidity effect - the increase in L - initially positive and converging over time to zero, and the Fisher effect - the increase in F - rising over time and converging to the increase in R. But what is the Fisher effect on impact? I think the intuition of some people would tell them this impact effect should be negative. That intuition might come from thinking about Phillips curves. 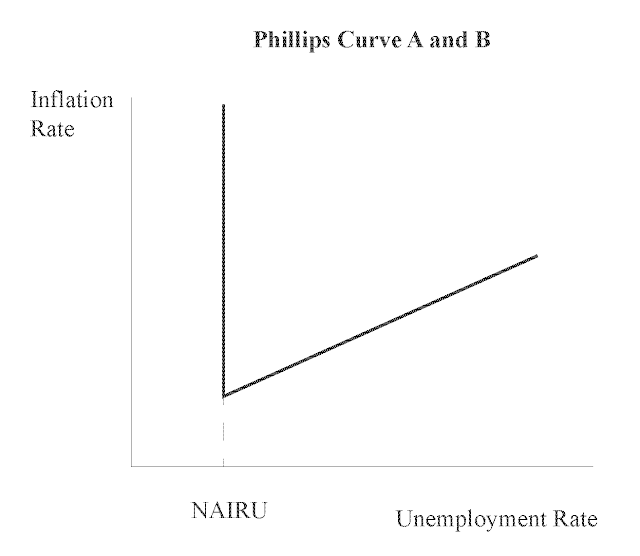 Maybe this Phillips curve intuition exists because people are ignoring the empirical evidence. Maybe people have some familiarity with reduced form NK models. Typically, in those formulations - essentially what Cochrane has written down - Cochrane's equation (2) is a "Phillips curve." 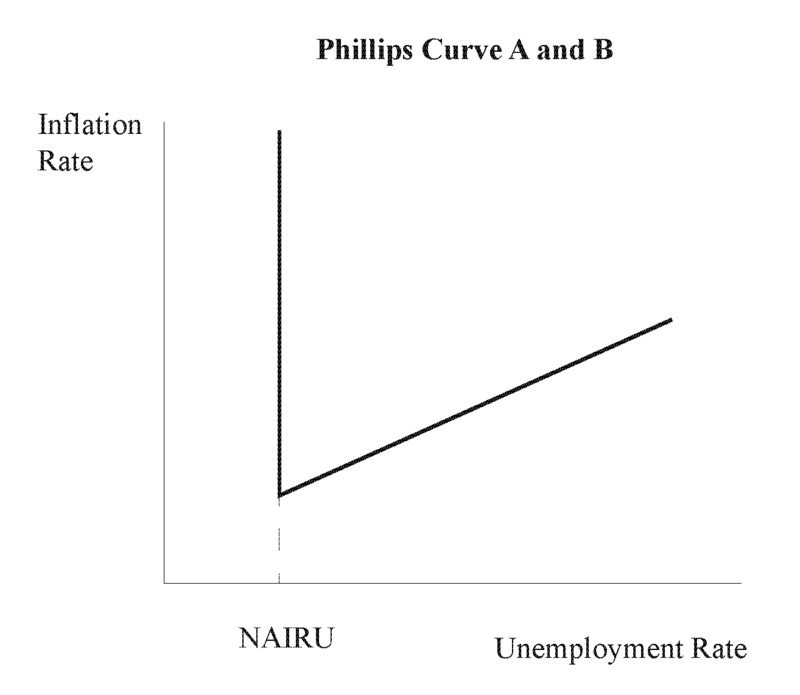 So, you could forgive people for using their Phillips curve intuition in an attempt to understand what is going on the standard NK model. But, as it turns out, their intuition doesn't help them in this case. It's not clear why anyone would expect the impact effect of the increase in R on F to be negative, if he or she understands what is going on in the model. And, indeed, Cochrane shows us an example in which the impact effect on F is positive, though there are other equilibria in which the impact on F is negative - in those other equilibria, the liquidity effect has to initially be that much stronger. What would happen in models where we actually include money? An example in which there are short-run nonneutralities - liquidity effects - is the class of segmented markets models. In these models, the first round effects of monetary policy affect only a segment of the population - those closely-connected to financial markets. Then, an open market operation affects people asymmetrically. One very simple model of this type is Alvarez, Lucas, and Weber (AER, 2000). In that model, there are two types of people, traders and non-traders. 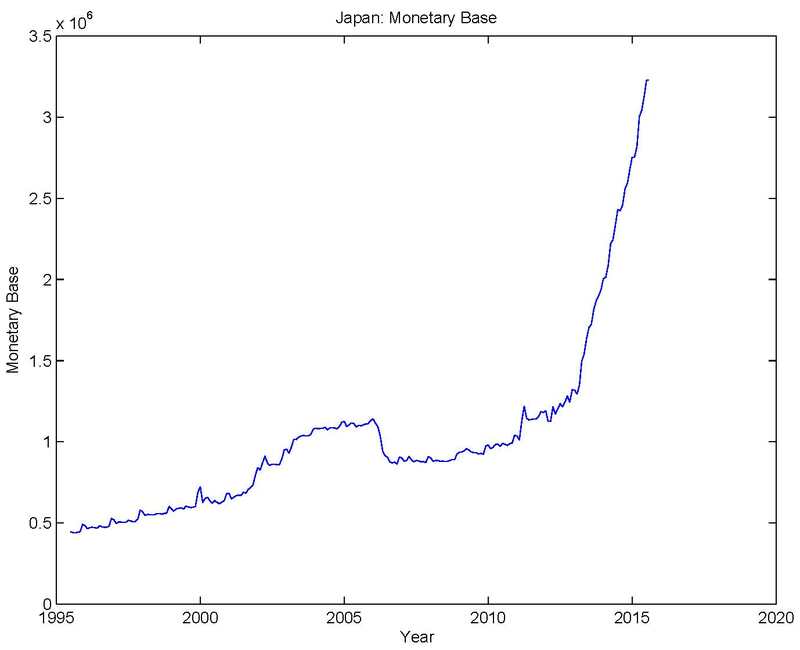 When an open market purchase by the central bank occurs, the traders receive a cash injection, which is a temporary increase in their wealth, so traders then consume more. This induces a liquidity effect, as it is the consumption of traders that determines the price of nominal bonds in this economy. Consumption is temporarily high for traders, so L is temporarily low, and this reduces R.
If we do Cochrane's policy experiment in Alvarez/Lucas/Weber (ALW), we can find an equilibrium in which the impulse responses look like Cochrane's. In response to a permanent increase in the nominal interest rate, the inflation rate increases over time, and ultimately the increase in F is equal to the increase in R. But in the ALW model, there is a path for money growth that is needed to support the permanent increase in the nominal interest rate. In ALW, the quantity theory of money holds in a very simply way - total output is constant, and the price level is proportional to the money stock. So, ALW tells us that, to support a permanently higher nominal interest rate, what is required is higher and rising money growth. So, that's reassuring. Cochrane's results hold in a widely-used macro model, and they hold in other monetary models with liquidity effects. So, for people who know how those models work, the results should be intuitive.